Product prices and availability are accurate as of 2019-04-09 08:02:11 EDT and are subject to change. Any price and availability information displayed on http://www.amazon.com/ at the time of purchase will apply to the purchase of this product. 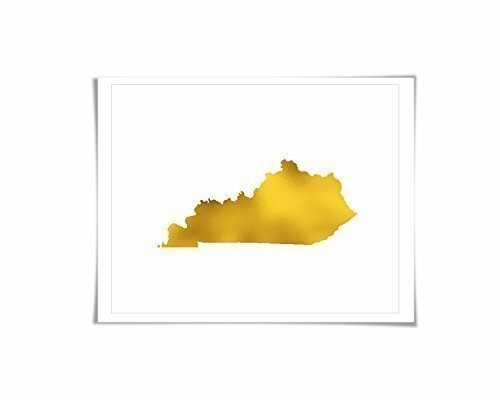 Kentucky in shiny genuine foil - Sure to brighten up any space! ** You can choose from seven different foil colours: gold, silver, copper, rose gold, pale pink, hot pink and blue. Please see the second image for the different colours. When you place your order, simply use the drop down menu on the order page to choose which foil colour you would like. 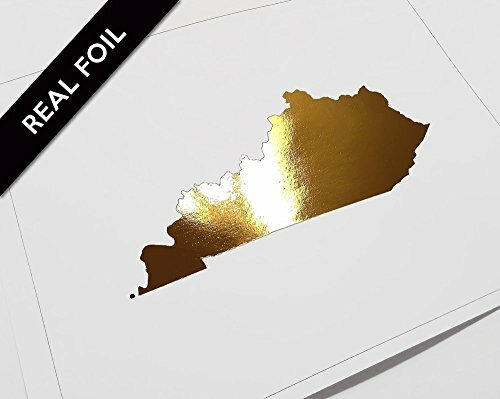 ** If you want multiple copies in the same foil colour, then just choose the quantity number you would like and then your foil choice. 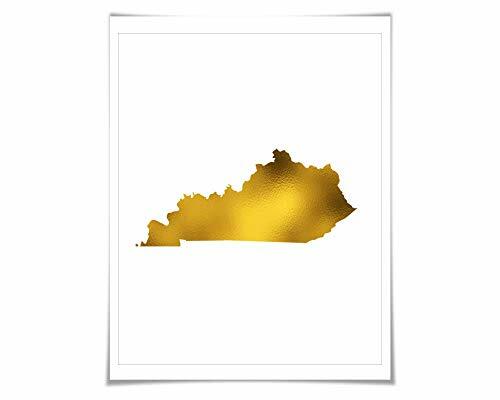 ** If you would like multiple copies of this print but in different foil colours, please add them to your cart one at a time so you can select your different colours. ** Your foil print is prepared on premium quality, heavy 110 lb. smooth white matte card stock with genuine foil. Please note that the colours on your monitor may differ slightly from the final artwork. All print sizes come with a white border which allows you the choice of either trimming to size to fit perfectly into your picture frame, or alternatively, using the surrounding border to allow for easy matting of your print. Your prints will be carefully wrapped in a poly sleeve and placed in an waterproof envelope, with both a sturdy board and a chipboard piece inside.